We live in a rapidly changing world, one that demands creative and innovative solutions for building a sustainable quality of life, education, and economic prosperity for all people and creatures. The programs created by Blue Star of Hope serve that purpose. Fostering the idea that one person can make a difference to a family, a village and a world! 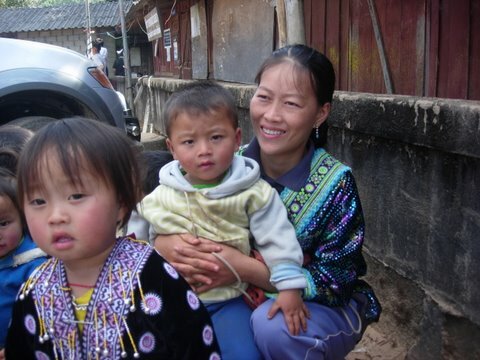 THE POWER OF ONE PROGRAM has touched the lives of many individuals around the world. 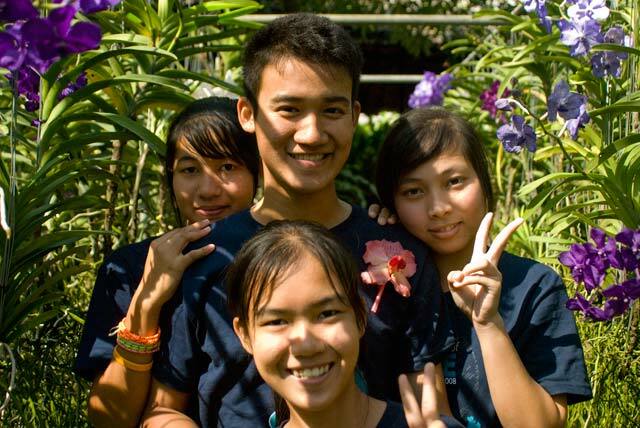 International students come together in Thailand each year to volunteer at an elephant sanctuary, to teach Thai students English, make life-long friends and so much more! The founders of Power of One, Donovan and Juelle, spend months of each year globetrotting and while doing so have met the most incredible people. 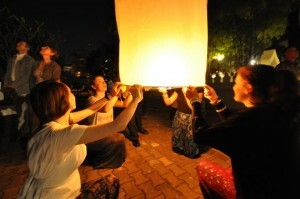 This is the story of how they found some of the integral people of the Power of One-Thailand who we now consider family. More than a decade ago while on a trip to Thailand Dono and Juelle were tooling around on their motorcycle doing “research” and pulled into what looked like an interesting place. They looked around, unsure if they should be there and were just about to leave when they heard a friendly voice call out “have a look, stay for coffee”. 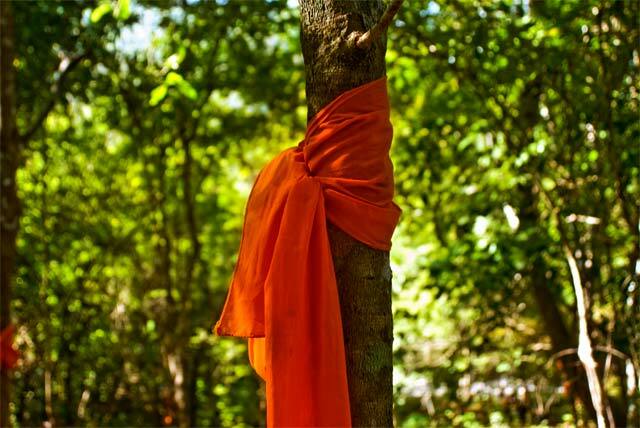 Out came an orange robed monk with a beautiful smile! 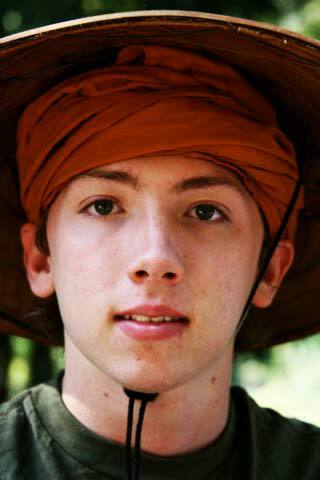 Thus began a life- long friendship with Pra Denduang or as we call him “A-jahn”, which means “teacher” in Thai. They stayed for 10 days! Dono and Juelle told him that they would return to his Temple the following year with more Americans. Surely he thought they weren’t serious so imagine his surprise when they showed up the next year with 25 people! 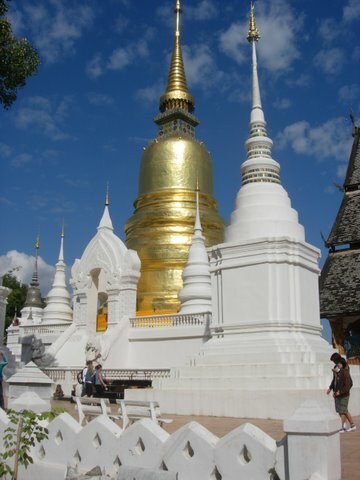 A-jahn arranged for 125 students to visit the Temple where the American volunteers taught English for two days. 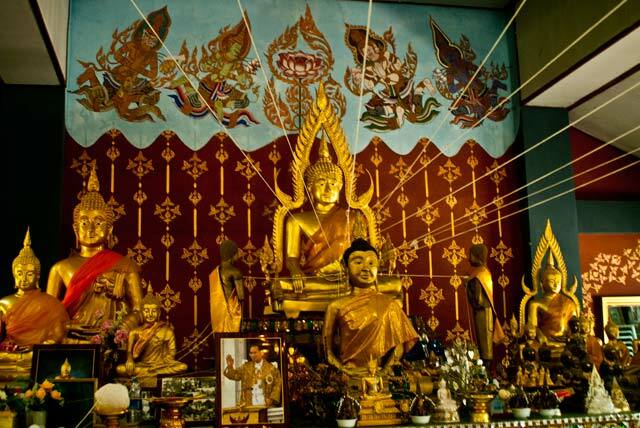 This event was the start of our volunteer English Camps, which have now moved to our sponsored schools, and the volunteer program at A-jahn’s gorgeous and serene Buddhist Temple. 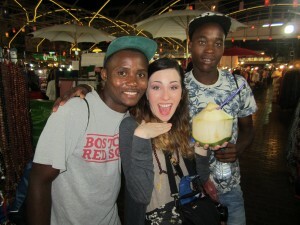 On the same trip, Donovan and Juelle wanted to find a “good” elephant experience for guests that they take to Thailand. 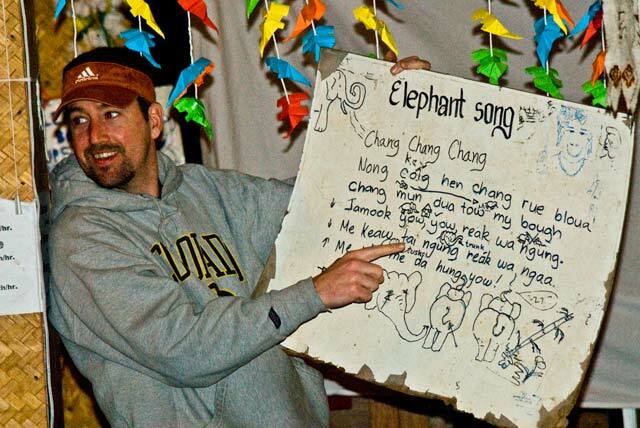 Visits to various Elephant Camps left them in tears. The mistreatment and degradation of this majestic animal was too much to bear. 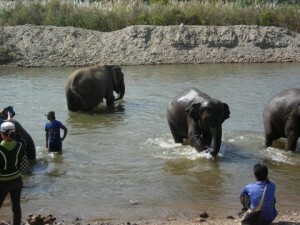 They went home discouraged, having not found what they were looking for which was an ELEPHANT CONSERVATION PROJECT. Upon their return to the U.S. they happened to watch a very old National Geographic special about a Thai woman named Lek and the vision she had for the Asian Elephant. They knew they needed to meet this tiny but mighty lady! 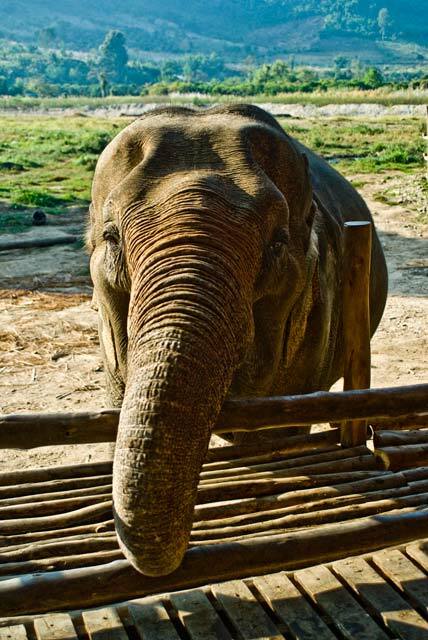 At the time of their meeting ten years ago Lek did not yet have an Elephant Park; she had five elephants and a bit of land for them to roam. The friendship was instant and it was apparent that everyone had common goals. 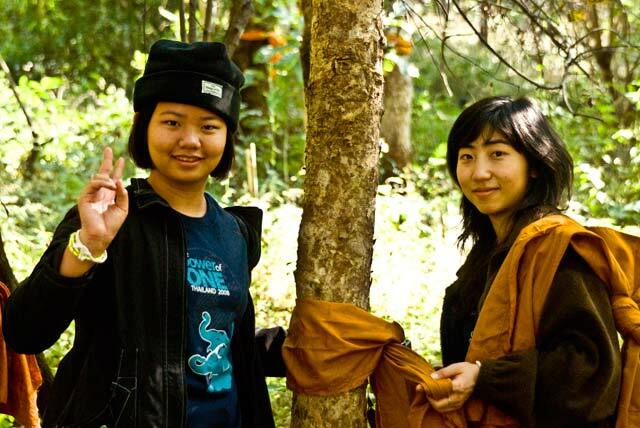 Lek now has founded the ELEPHANT NATURE PARK, which is one of our primary volunteer sites. ENP and Lek have rescued dozens of elephants (dogs, cats, a pig, a cow and pretty much anything or anyone in need of help!) 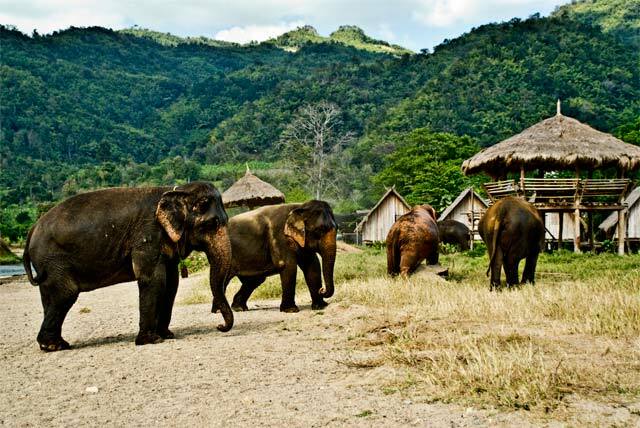 and have purchased hundreds of acres of undeveloped land to make a home for the eles. The magic of this place must be experienced to be believed! For more information visit www.elephantnaturepark.org. An International Cross-cultural Exchange Program With Elephants, Students and Adults. Can you imagine yourself: Stepping on a plane, flying to the other side of the world, meeting up with an international group of students, and having an experience of a lifetime? Can you imagine yourself: Hand feeding a giant elephant, bathing him in the river, caring for a baby and having a couple dozen of these gentle giants right in your front yard? Can you imagine yourself: Immersed in new cultures, learning about the elephants, visiting local schools and forging worldwide friendships that can last forever? If you can imagine this for yourself, then you will want to join this group of young adventurers-ambassadors as we volunteer, travel, learn, experience and have a lot of fun. WHY: We believe that the time is now for bold and innovative ways to unite our world. We believe that our precious Earth is indeed, a global village. We believe our young people care about the future, want to confidently take their place in it as the new thinkers and strive for peace and understanding. We believe that the Asian elephant carries the heartbeat of the planet and to protect them and their natural habitat is important.We also believe that that by putting these gentle giants together with our young people from all parts of the world, an alchemy of the Spirit can take place as we discover our common themes, needs and values, and blend our individual cultures as one. 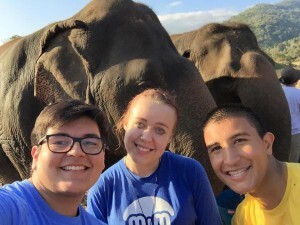 Through connecting with the elephants, our students will connect with each other. 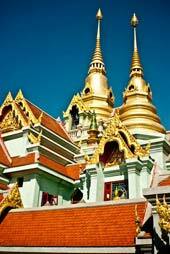 WHERE: Two weeks in beautiful Thailand, the world’s most welcoming and friendly destination. From the rainforests of the North, to the beautiful beaches of the South, Thailand’s gentleness embraces you into its beauty. 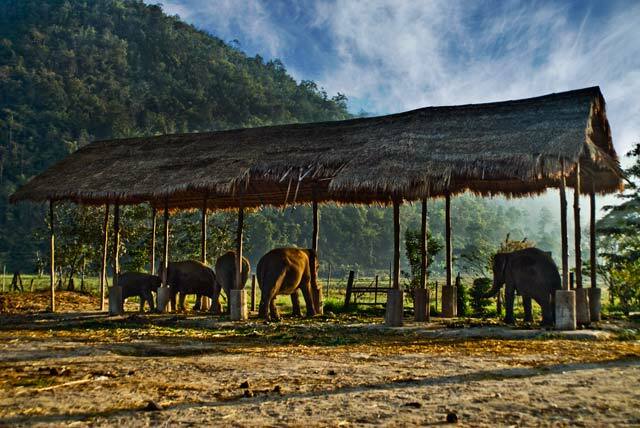 SETTING: Our global group will use a model Elephant Sanctuary as a “stage” for this program. Here we will learn about the Asian elephant, learn about their care and understand why it is important to protect this precious treasure. 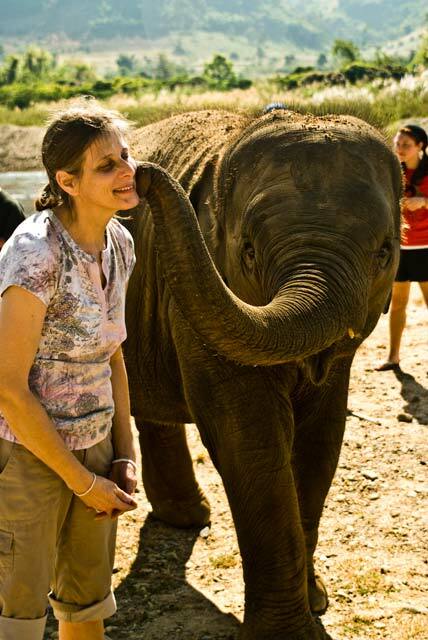 Nowhere else in the world can you have hands-on experience with the elephants like in Thailand.After seven days at the sanctuary, we will travel to another village near the beach where we will interact with Thai students in their school and in the local community. 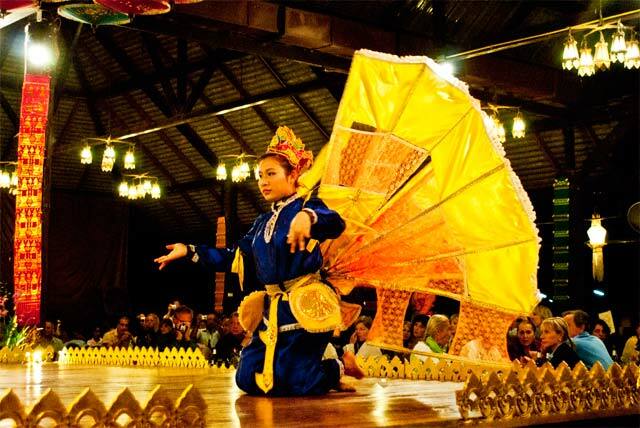 Here we will learn about customs, traditional dance and music and engage in activities designed for cross-cultural exchange. WHAT: Visiting awesome places: the Chiang Mai night market, an orchid farm, a traditional Thai artisan co-op, exquisite Buddhist temples, a hill tribe village and two of the schools of our Thai students, The Elephant Nature Park… and no trip would be complete for teenagers without a visit to one of the world’s largest shopping malls in Bangkok! And much more…. EXPERIENCES: hand feeding, bathing, learning about and caring for the elephants, river rafting, ocean swimming, visiting a typical Thai school, eating traditional foods, working with different currency, hearing and learning new languages, and discovering how much everyone from around the world has in common.Because this is a global service learning project, community service hours can be earned toward university applications for time spent caring for the elephants and teaching English to Thai children. We work closely with the faculty of our high school students to ensure full participation and possible credit upon the student’s completion of the program. COST: $1,775 INCLUDES: All hotels, Elephant Nature Park accommodations, ground transportation, two domestic flights, most meals,& all activities. 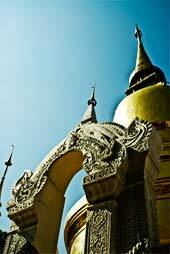 NOT INCLUDED: International airfare, (we help arrange this.) 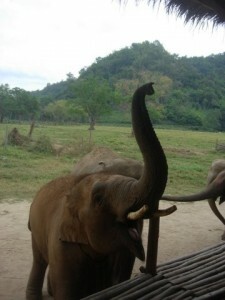 tips for guides and drivers, some meals and travel insurance, required by the Elephant Nature Park. Fostering the idea that one person can make a difference to a family, a village, a country and a world. By bringing our young people together as a group, with a common purpose of service, learning and cultural exchange, we unite our world. Our students represent the global community. 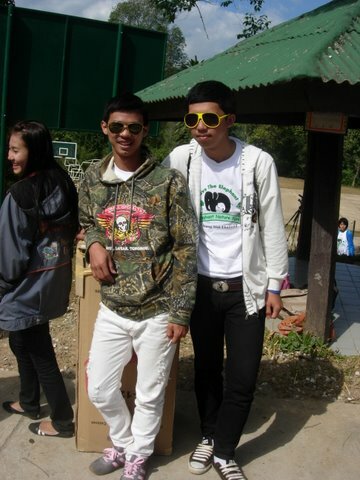 We use the schools of our Thai Student Ambassadors and a model Elephant Sanctuary as settings for this program. To bridge world cultures through activities designed to explore cross-cultural similarities, build leadership skills, learn about ecological sustainability, propose creative solutions to local/global issues, and develop peacekeeping skills as world citizens. To learn about the characteristics, endangerment and daily care of the Asian elephant and why it is important to protect this precious treasure. 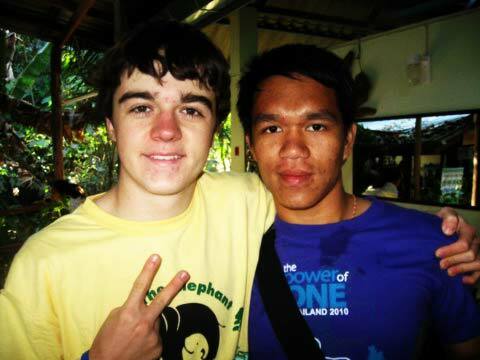 Through service learning (volunteering at the elephant sanctuary and at the school) and uniting our international group of students, the participants will see themselves in a larger context of life, gain a world view, build confidence to find their place in the world and know they have one, cultivate peaceful understanding, compassion, acceptance and appreciate the interconnectedness of all people. 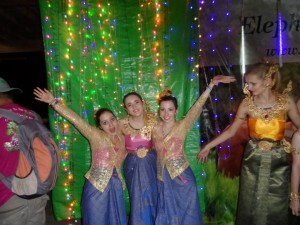 To instill cohesiveness in our group of global students, to have a lot of fun, to stretch themselves, discover and experience. 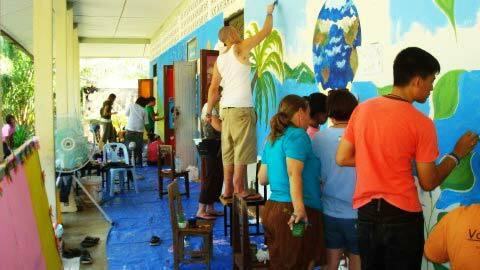 Among the many experiences of the POWER OF ONE program, especially important is the service learning aspect. Service learning is a form of experiential learning where students and mentors collaborate with local communities, schools, projects and programs. 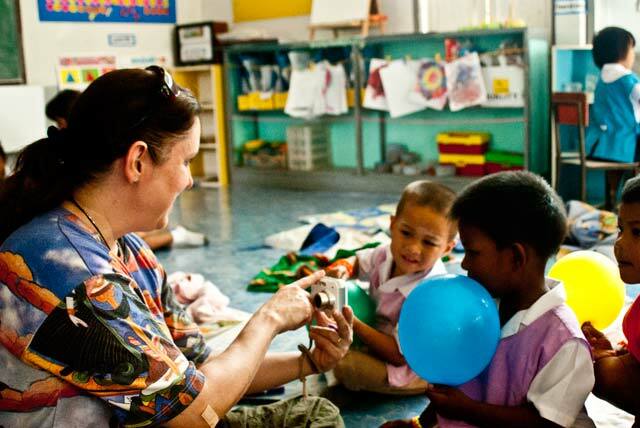 Through volunteering and participating with various projects, our students simultaneously gain knowledge and skills, advance personal development and expand their global perspectives. This ultimately strengthens connections between people, cultures and develops communication skills, critical thinking skills and tolerance. We see that so many young people are unsure of “what they want to do.” Exposure to possibilities and ideas through meaningful service, gives students more clarity about their own personal abilities, goals and interests. 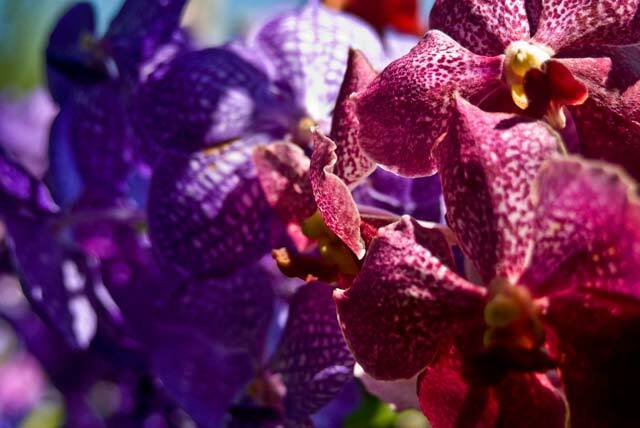 It gives them a sense of contribution, which leads to a stronger sense of connection and that they are a part of the global community, and in fact, vital to the global community. This builds self esteem and empowers our young people to find their place in this ever changing world. 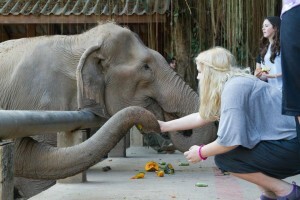 Working with the Elephants! 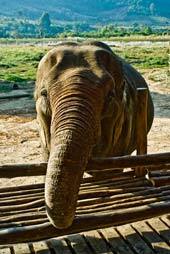 The Asian elephant and its natural habitat, the rain forest, are both endangered. 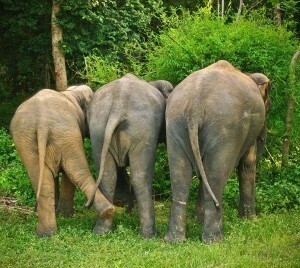 The elephants belong not only to certain countries, but to us all. They represent the conscious awareness as to how fragile our environment and its inhabitants are.As an example, we will visit one elephant by the name of Mai Lai Tong. She was being used for illegal logging when on the way home from a day’s work, she stepped on a land mine and lost part of her leg. 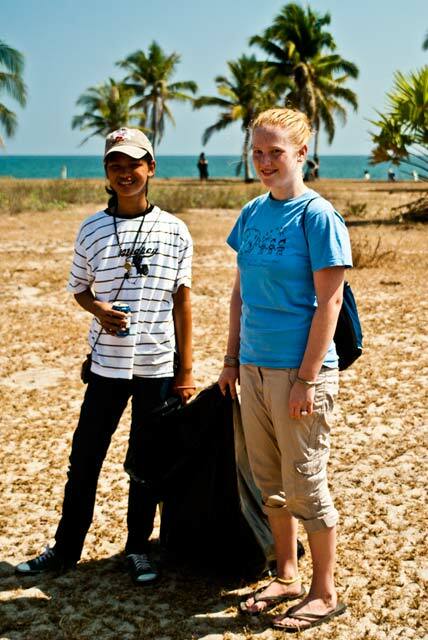 She courageously walked with her mahout (trainer) for miles for help. This one elephant brings to world attention the horrors of war, the loss of the forests, the disrespect for our environment and the potential loss of a planetary treasure, the elephant.Nowhere else in the world can one have hands-on experience with the magnificent elephants like in Thailand. Everyone falls in love with them and through these gentle giants our students will connect with each other.We spend seven days volunteering at the Elephant Nature Park in northern Thailand. The founder, Lek Chailert is a model of how one person can make a difference in this world. She was voted “hero of Asia” by Time magazine several years ago and has been featured in many documentaries for her tireless work in protecting the Asian elephant.While at the Elephant Park we engage in many activities necessary for the functioning of the park, home to 33 elephants. 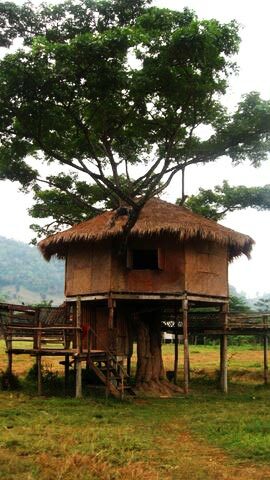 Our duties might include picking up elephant dung and using it for adobe building, cutting grass, making fire breaks, planting grass, cooking meals for about 75 volunteers and park staff, cleaning up the park site, preparing food for the elephants and then hands on feeding the elephants, bathing the elephants and miscellaneous projects serving and helping the elephants and the staff. Volunteering at one of the Thai high schools of our Thai Student Ambassadors We spend 1 or 2 days at the school from which many of our Thai students come. We will help teach English, through a variety of activities, to 150+ students for “English Camp.” After the project, as a group, we present a performance to the school staff, distinguished guests and to parents. 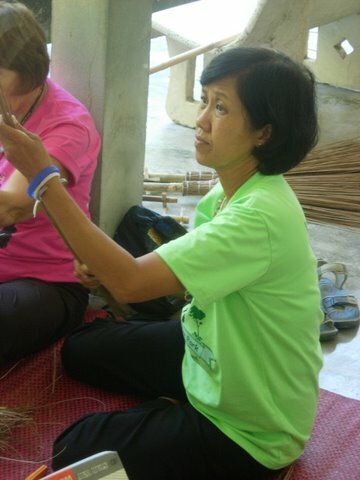 Volunteering at a Burmese Refugee Elementary School We spend one day at a primary school for small children, age 3-12. 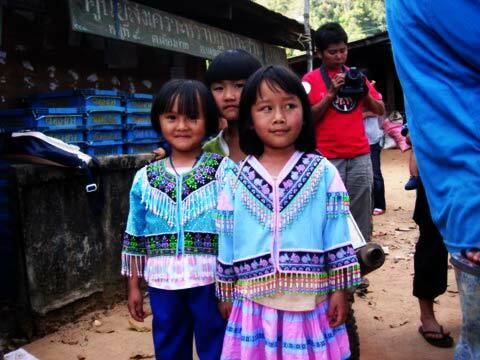 These schools are on the border with Burma, where many children come from refugee families. Their opportunities, services and school supplies are minimal. 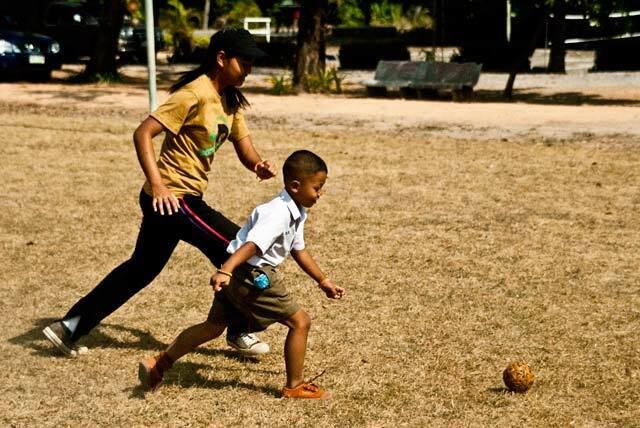 We play with the children; teaching simple games, singing English songs, speaking English and doing art projects. 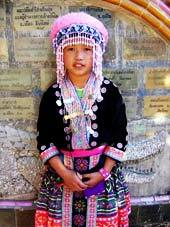 We also collect from our home countries books, school supplies and educational toys to donate to this school. Each year we assist these beautiful schools and the lovely staff and children to improve the conditions of the classrooms and campus. 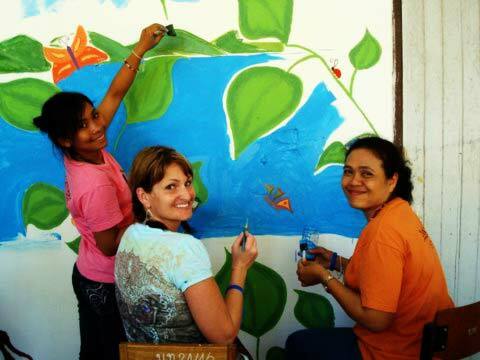 For example we repaint classrooms in cheerful colors and paint inspiring murals throughout the campus to brighten the days of the children. These kids often do not even have basic school supplies, toothbrushes, minor medical supplies and toys that we often take for granted. Each child’s hands are overflowing with gifts at the end of the day and the school is stocked with supplies that they have requested. The light in the eyes of these little ones is worth the entire trip. This is definitely a highlight of our Power of One adventure! 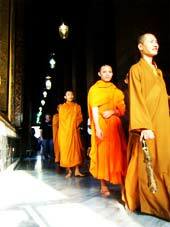 Volunteering at Wat Kao Mai Rueak, a special Buddhist temple in the south of Thailand The head monk of this temple will visit us many times throughout this journey and will have given us the traditional Thai Buddhist blessing for this project. 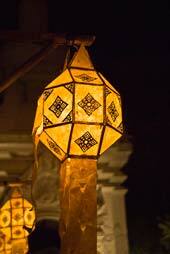 Visiting the temple is our opportunity to “pay it forward.”One way we do that is a conservation project. The temple is located on a lovely beach and unfortunately a lot of debris from the fishing boats off shore ends up on this beach. 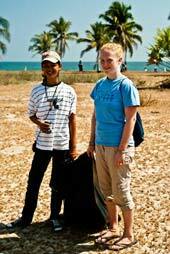 One of our projects is to do beach cleanup.We also help with any other temple project that might be going on at the time. 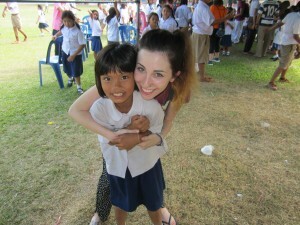 Volunteering by interacting with our Thai students who are a part of the Power of One program and traveling as an international group for two and a half weeks Throughout the entire trip, our international students will travel with Thai students who also participate in the Program. 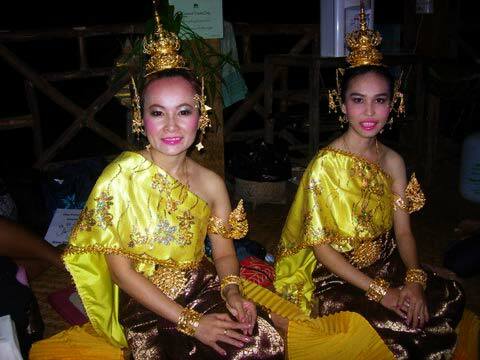 We will engage in cultural activities as a group, helping our Thai students practice English and offering the American students all that is to be gained from the various cultures represented on the Program. 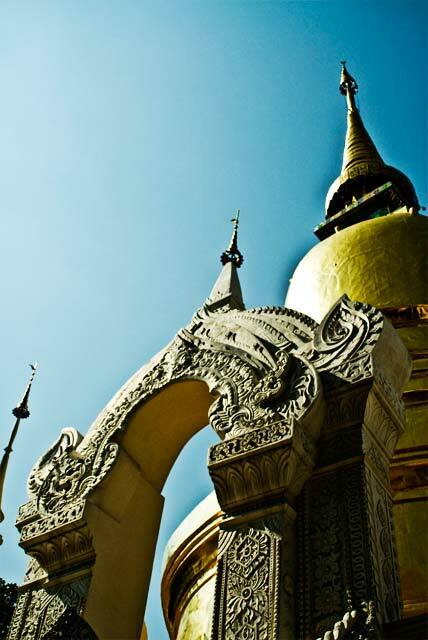 Experience Thai CultureThailand is a beautiful country, and in addition to volunteering and service learning activities, our students will be able to see many of the sights of Thailand near the places we visit. 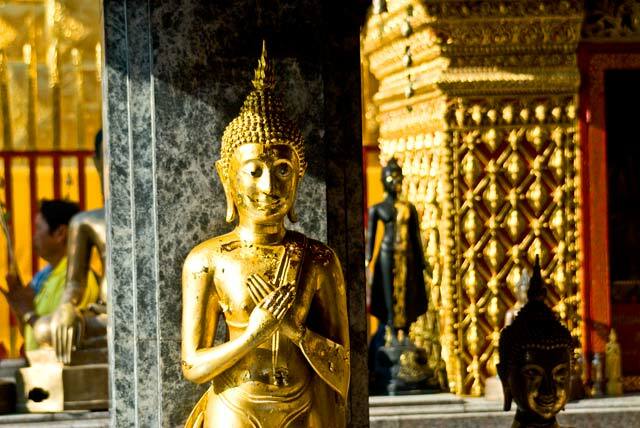 We will visit Buddhist temples, take part in ceremonies, visit night markets, enjoy a traditional Thai dinner and dance, and much more, not to mention what we’ll learn from working with the Thai students themselves.Experiences include hand feeding, bathing, learning about and caring for the elephants, river rafting, ocean swimming, visiting a typical Thai school, eating traditional foods, working with different currency, hearing and learning new languages, and discovering how much everyone from around the world has in common.We believe it is very important for the youth of our world to experience foreign cultures and realize that we are not so different after all. Please join us as we journey to Botshabelo, South Africa, in service to the children of this amazing and beautiful orphanage. For more information please visit our South Africa page.